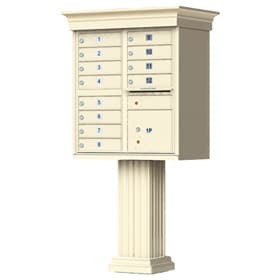 Order Auth Florence 12 door CBU classic mailboxes accessories for replacement purposes or for new build neighborhoods and set your centralized mail delivery center apart from the rest. 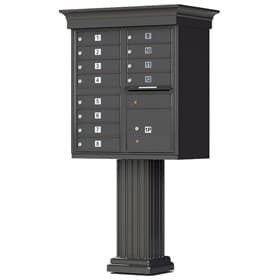 The clean lines on the crown moulding roof cap, reinforced column cover and mailbox pedestal base put the finishing touches on the world’s most secure and trusted Commercial Mailboxes by Auth Florence. 12 door CBU classic mailboxes accessories are made from 100% die cast aluminum and available in 4 rugged, architectural weather resistant powder coat finishing colors. 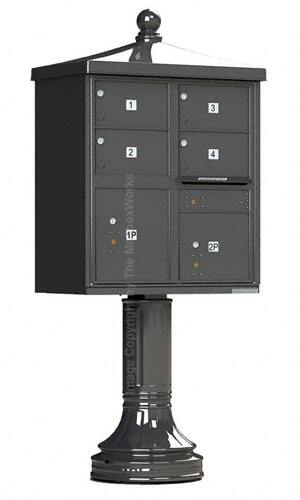 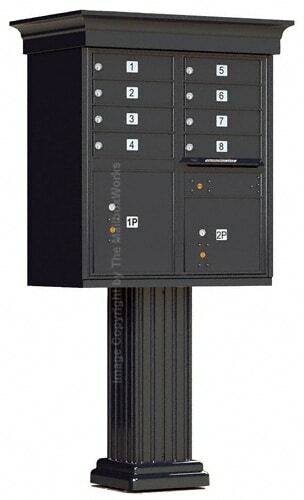 As the most secure free standing CBU mailboxes on the market, these 12 door cluster box units offer a stylish centralized mail delivery center that can be installed individually throughout a neighborhood or grouped in one location. 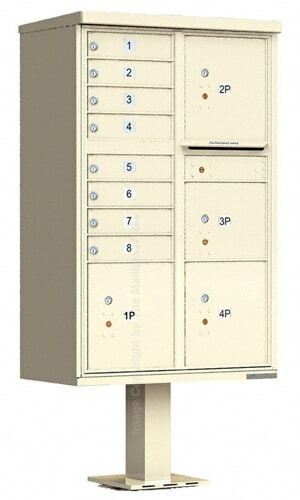 Includes 12 tenant compartments, 1 parcel compartment and 1 outgoing mail slot. 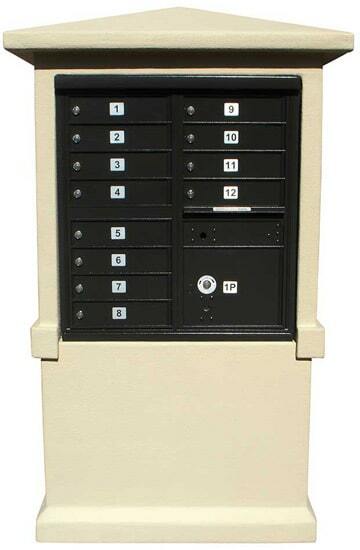 Each tenant compartment is secured by a 5-pin cylinder cam lock equipped with a set of 3 keys. 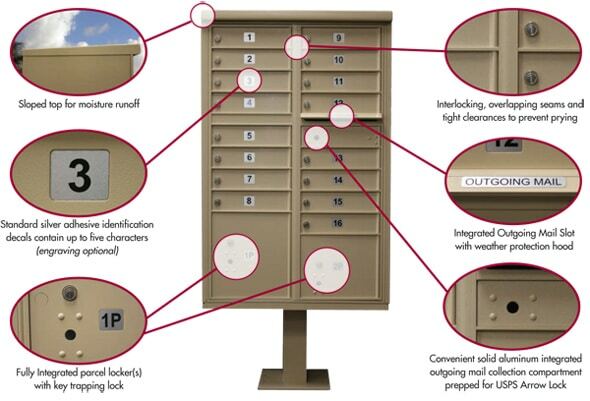 Each parcel locker is secured by USPS approved locks. 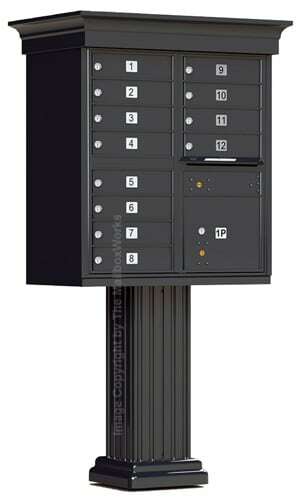 Suitable for military bases or use for commercial and industrial retail or business offices plus residential multi-family complexes and much more. 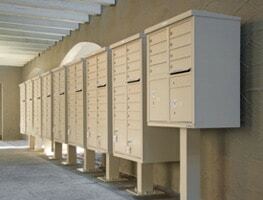 Speak to MailboxWorks about private delivery lock options. 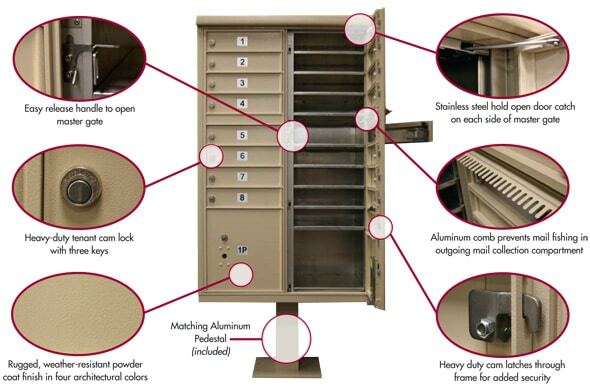 For more information or for assistance purchasing CBU mailboxes please call us or chat with a customer care rep if you have any questions.